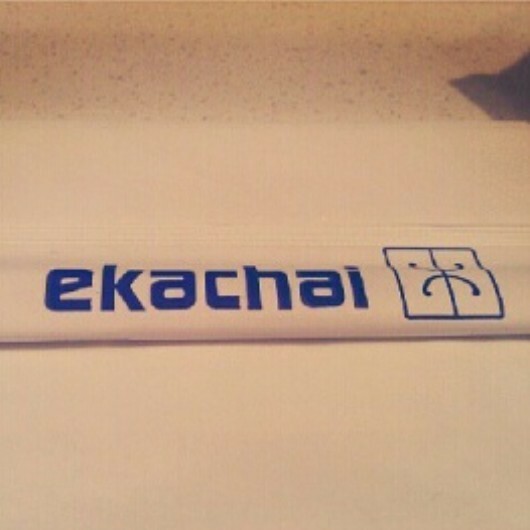 Ekachai is the go-to spot when I'm meeting my girlfriends. We love their fresh meals, but mostly the well-flavoured, traditional, and yet modern style of Ekachai, and possibly some of the best Oriental food in the city. Housed in the ever-modern, and yet ever-present Selfirdges Food Hall on the ground floor, Ekachai is one of the food stands which provide an Oriental take on lunch and dinner. It has an open kitchen so you can quite literally see your food being prepared. The chefs work fast because it is always busy, and once you're seated, and have placed your order, you are served within 10 minutes no matter the queue line. The menu ranges between traditional dim sum, rice, noodles, to salads, and side dishes. You'll find the familiar vegetable spring rolls, duck salad, pad thai and jasmine rice. 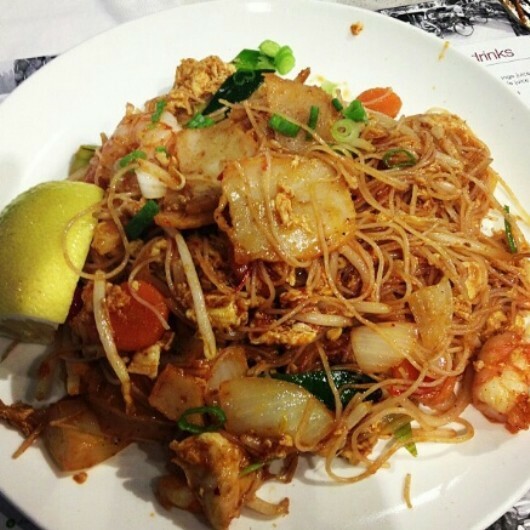 The food is sold at average-priced; dim sum costs 5.20, noodle 9.30, salads cost £8.80. It's middle of the range considering you're in Selfridges. It is not an expensive choice for lunch or dinner, but one that will keep you full and satisfied. I always get the same when I visit because they do it so well. 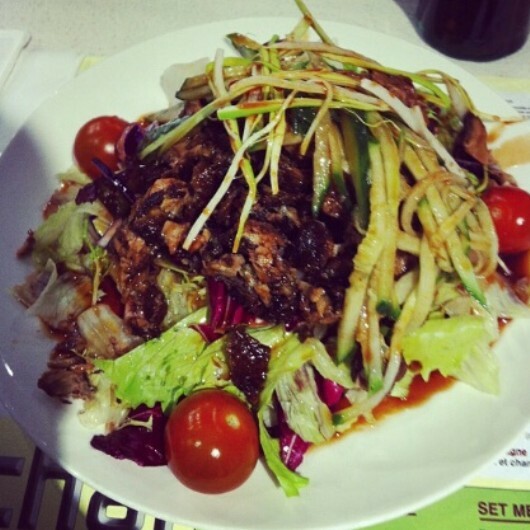 I order the crispy duck salad, which is shredded duck tossed in a plum vinagarette, with julienne cucumber, salad leaves, and cherry tomatoes. It sounds average, but it is absolutely delicious. the ratio of plum vinagarette to duck, to salad, is perfect. And I haven't had one nicer at any other Oriental restaurant in town.